If the deleted article had been stored in a category, which still exists, it will be recovered to that category without additional questions. If the category doesn't longer exist, KMP will ask you where would you like to put the restored article. 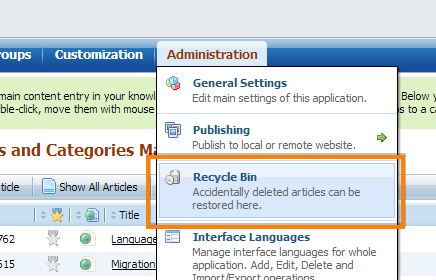 KMP does not clean up Recycle Bin automatically. 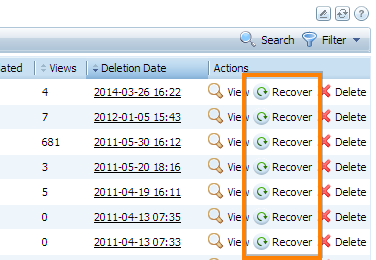 All deleted articles are stored there until someone destroys them completely.